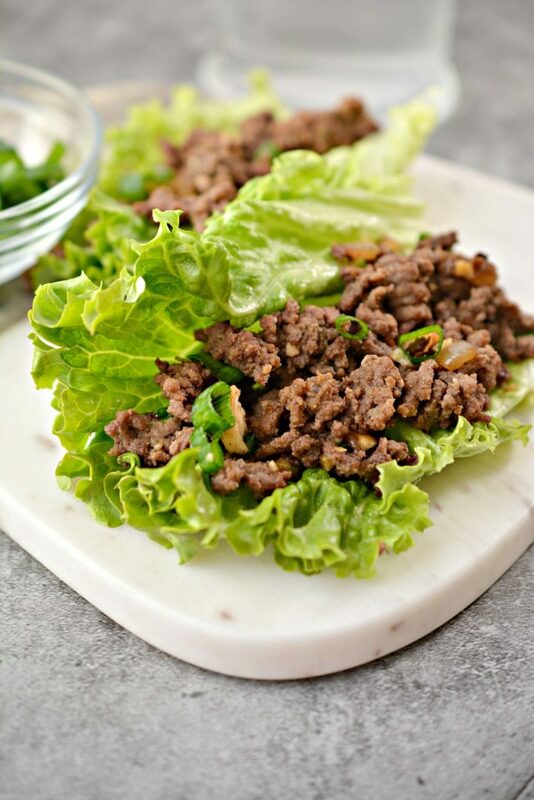 For a quick and easy dinner recipe that is full of flavor and—Best of All!—low carb, these Korean Beef Lettuce Wraps will have your family asking for more. The mixture of onions, ginger, garlic, and soy sauce not only give this meal a wonderful array of flavors, but also a good dose of nutrients that will boost your well being. Let me show you how to make them! One thing that my husband loves is Asian food! He was stationed overseas before we met and always talks about his love of their food. I try to recreate many of his favorite recipes at home whenever possible. 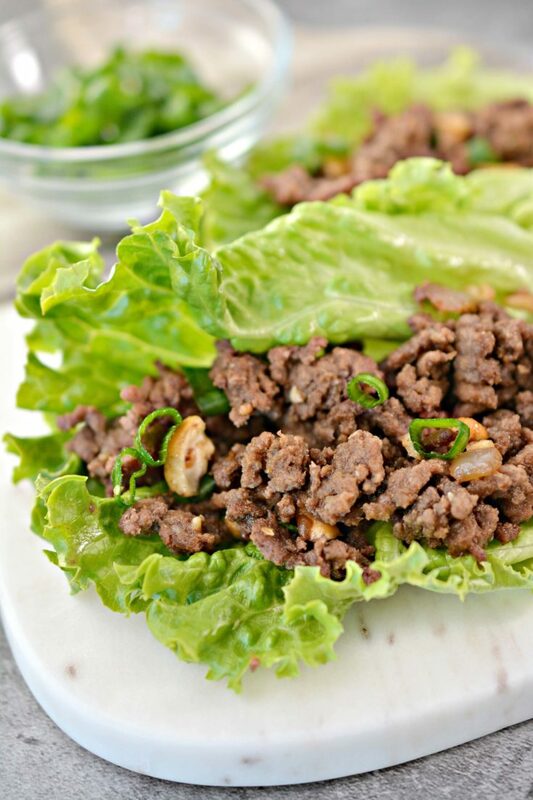 Today I’m letting him share more about these Korean beef lettuce wraps with yall! There is little wonder how so many centurions are living throughout the Asian continent. It is all in their diet. Having spent much of my enlistment stationed in the Far East, I have a profound love for Asian cuisine. While this recipe is not what would be considered authentic, the ingredients used are commonly used in many Korean and Chinese dishes. That blend of onion and garlic with ginger, nuanced by soy sauce and sesame seed oil bring back fond memories overseas. I could reminisce endlessly, but there’s nothing better than being able to prepare a tasty meal that even my kids enjoy. 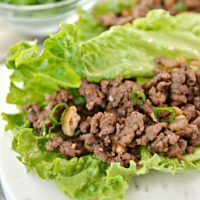 What are beef lettuce wraps? The total prep and cook time of this dish is only about a half hour. Quick and easy! Perfect for an active family who must eat healthy meals on the go. Like I mentioned, this recipe is not authentic. I spent quite some time in South Korea and do not recall ever seeing a lettuce wrap once. However, it does have all the flavors you would find in a Korean beef barbecue. All of which is wrapped in a leaf of lettuce for easy, mostly mess free eating. Ground beef is inexpensive and easy to find at the grocery store or local butcher. However, if you’re in a pinch, there’s plenty of ways to substitute the meat. 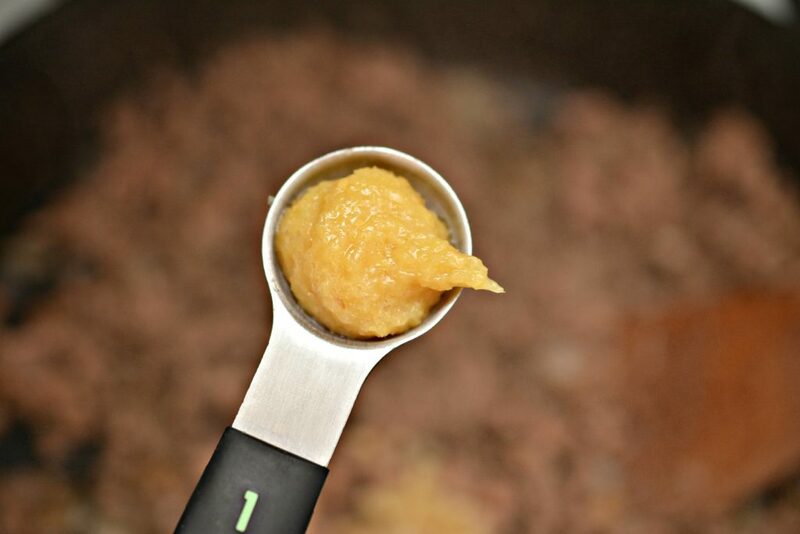 Ground turkey or ground pork will work just fine. But you don’t have to use just ground meats. Sometimes there’s that one steak or chop in the freezer that, for whatever reason, did get thawed and cooked. This is a perfect recipe for cooking that forgotten slab of meat and thinly slicing it to spread it out to several hungry mouths. Most grocery stores nowadays have an aisle dedicated to world foods. That’s where you’ll find sesame oil, soy sauce, ginger paste, and chili garlic sauce. Huey Fong is the most commonly recognized chili garlic sauce down that aisle. But you can just as easily substitute that with Sriracha. To keep this recipe Whole30 compliant, use coconut animos instead of soy sauce. Soy sauce normally contains wheat as an ingredient and is something that should be avoided if you are gluten free as well. There are gluten free soy sauces too. 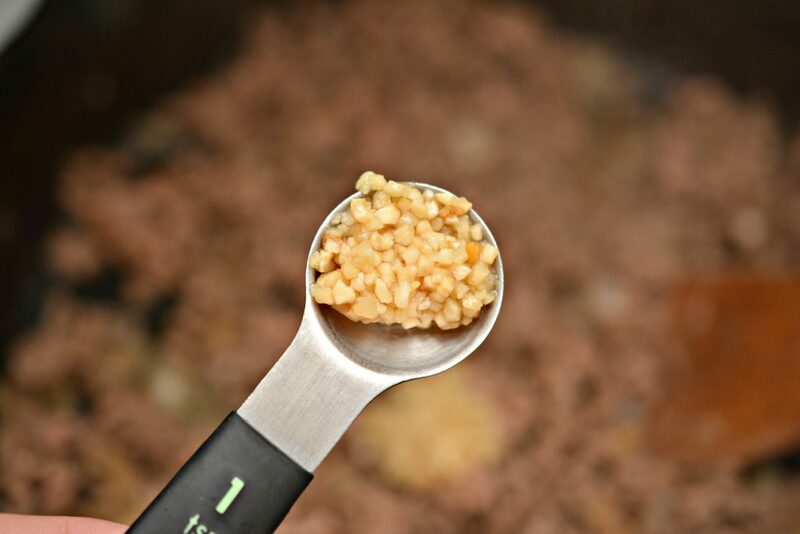 Minced garlic is found in the produce section of the grocery. Spice World Minced Garlic is my preferred brand. Swerve brown sugar substitute can be found among the sugars in the baking aisle. If you’re not into sugar substitutes, light brown sugar works just the same. The remaining ingredients can be found in the produce or baking aisles. You want to grab large green lettuce leaves such as Bib, butter or Boston. You can use Iceberg but it normally has a thick ridge down the center. 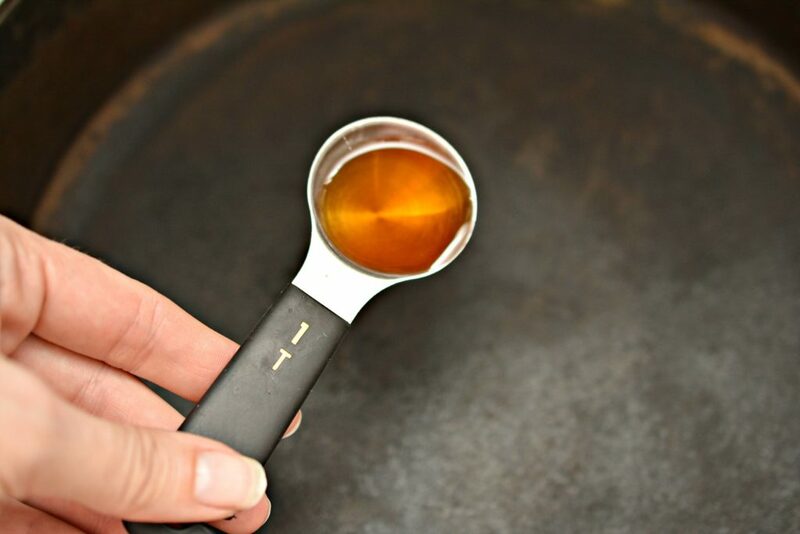 Heat your skillet oven medium-high heat and add in your sesame oil. You can also use olive oil or butter here as well. Add in your onion and saute until soften and fragrant – about 5 minutes. 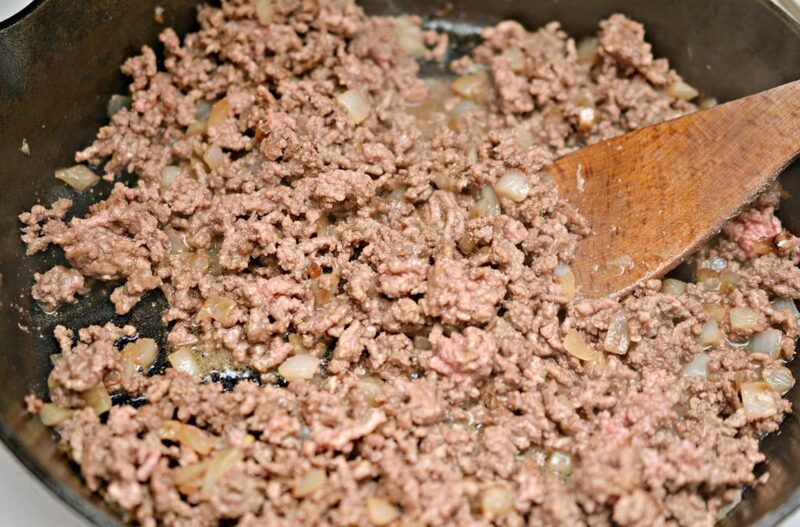 Add in your ground beef and cook until no longer pink and the outside is completely browned. Next, you are going to add in the soy sauce or coconut animos, brown sugar, chili garlic sauce, ginger paste and minced garlic. 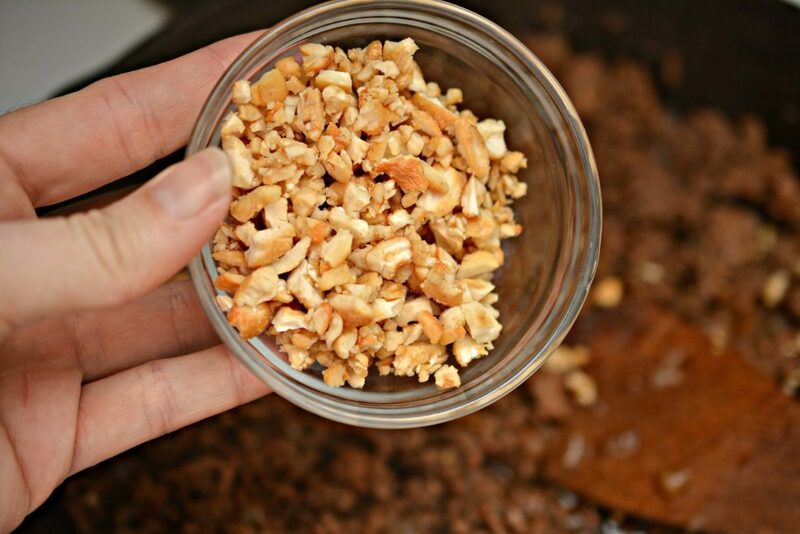 Your cashews go in last after the liquid has cooked down. Make sure to omit the brown sugar if you are trying to make this Whole30 compliant. 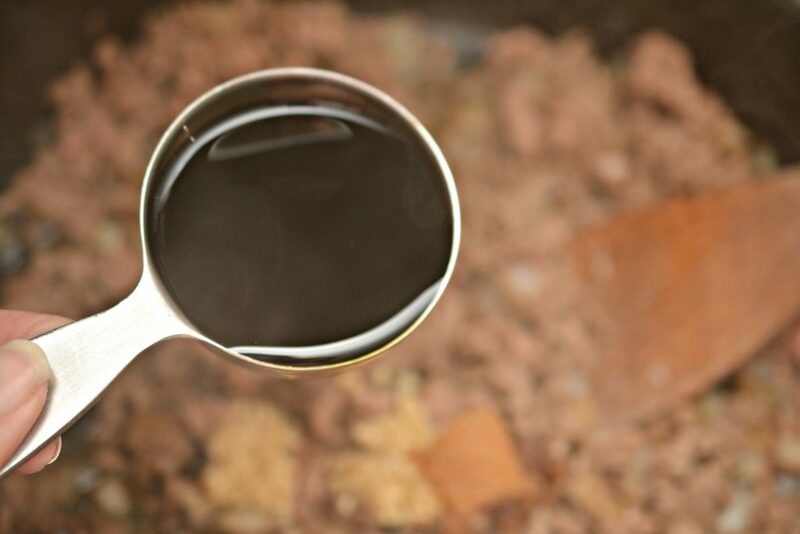 Remove the meat mixture from heat and allow to cool slightly. 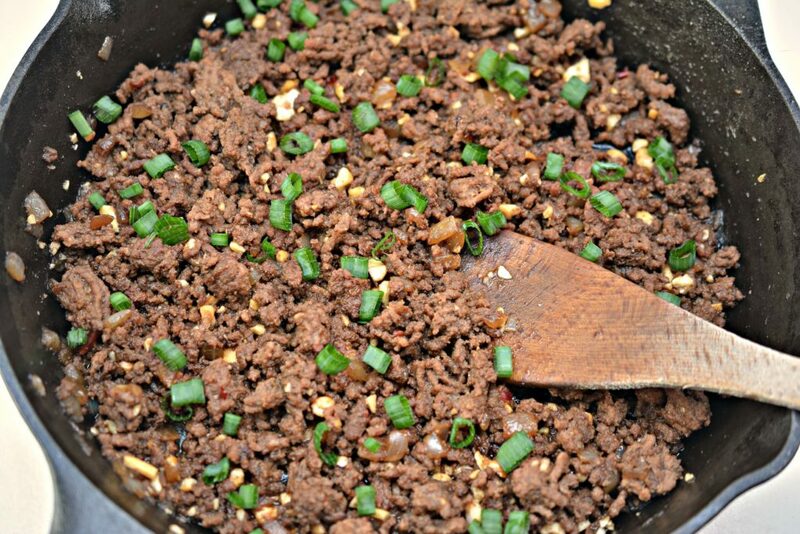 Spoon into your lettuce wraps and top with green onions, if desired. 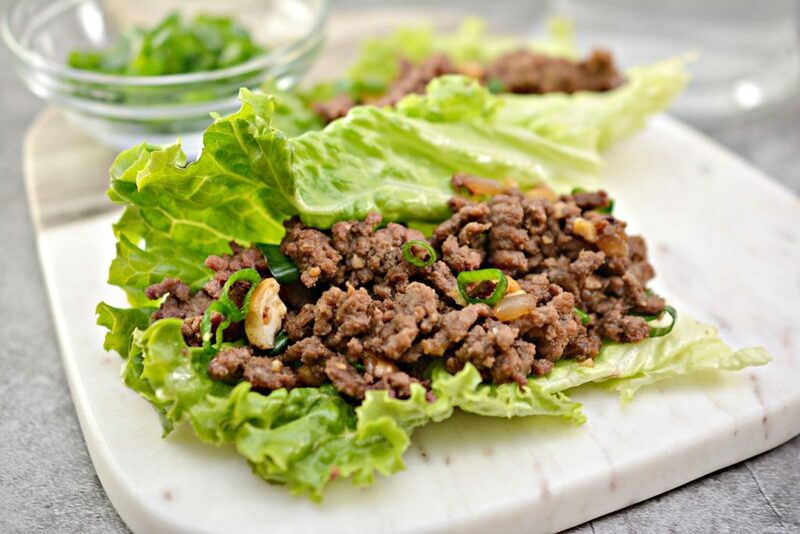 A healthy Asian inspired lettuce wrap that the whole family will love. 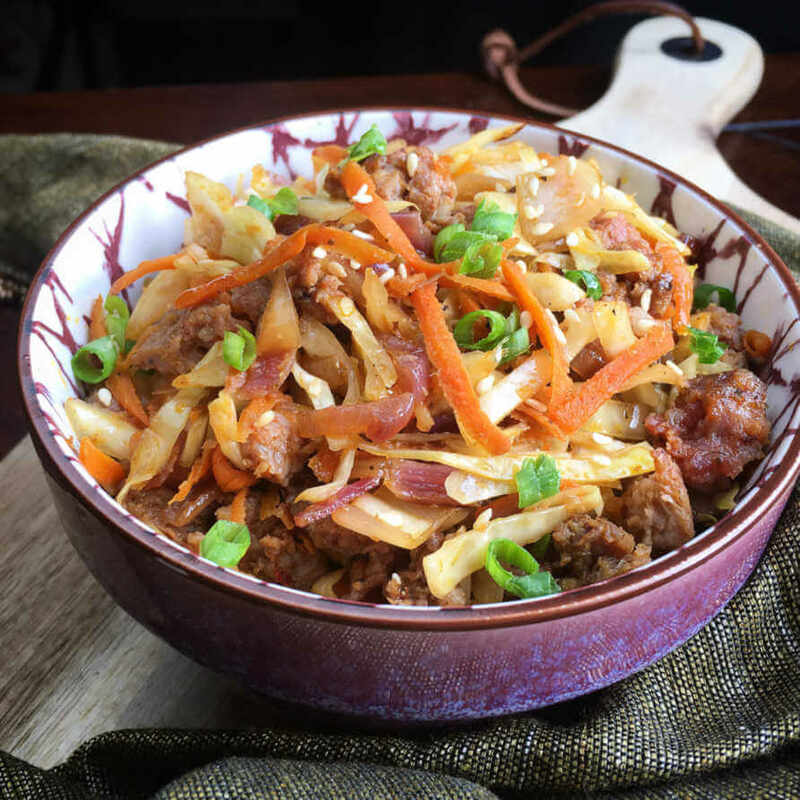 Egg roll in a bowl – Keto, Whole30 and Gluten free too! 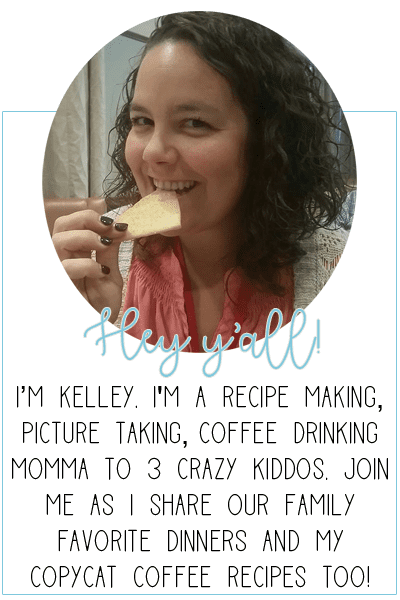 This sounds like it doesn’t take long to make and I love that you can make it Keto. I struggle to find good recipes that are easy to make. 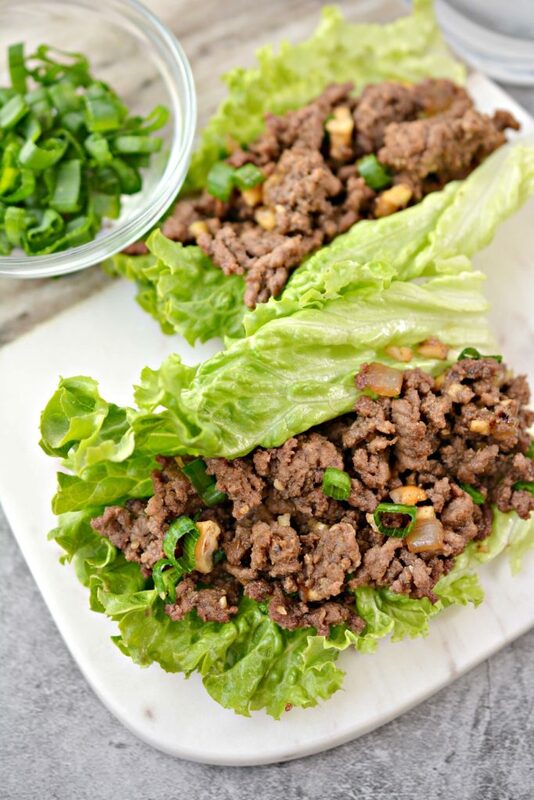 We love Korean food and these lettuce wraps are just perfect for my family. Thanks for the great recipe! We love them too Lizet! Hope yall enjoy! 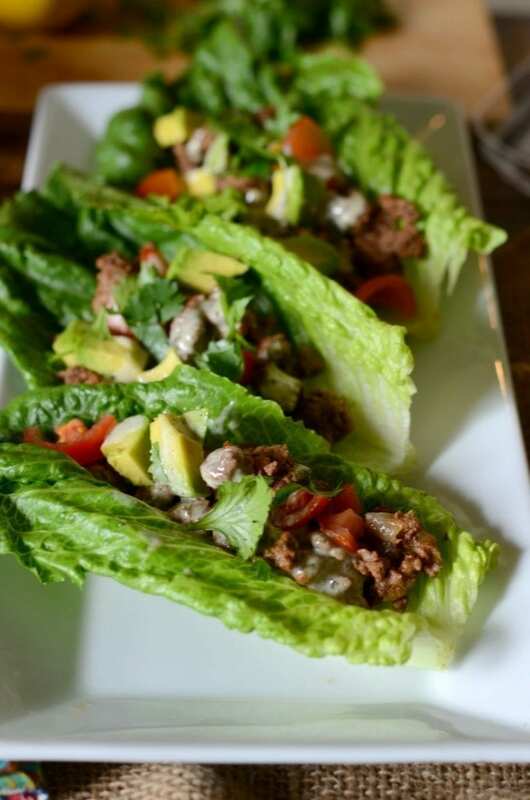 I love having lettuce wraps for lunch or dinner. It makes me feel full in no time, and I can enjoy a good meal with proper portion control. Can I get soju on the side, please? It looks yummy. Definitely going to try! I think, my family would love it. But if I don’t use Swerve brown sugar, is it test well? 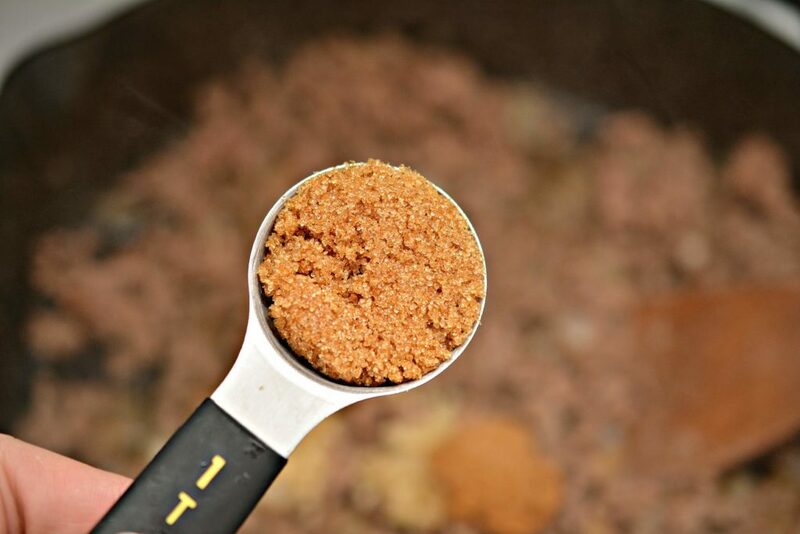 Regular brown sugar will work just fine here as well! I hope you enjoy them!